This is an update of a post from 2008. Look for the Word macro on this forum thread. Silver Mountain also sells ($49) a Beta Export program for use with the Beta Code TLG and PHI data which converts those texts to Unicode. 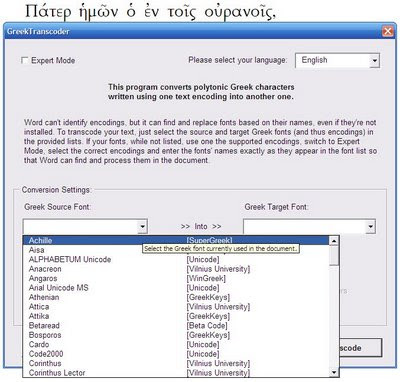 "...transforms texts with legacy fonts like SPIonic, SuperGreek, Bwgrkl, and others to any Unicode font"
To Unicode from WinGreek / Son of WinGreek, SGreek, GreekKeys, Linguist's Software (also called LaserGreek), Vilnius University coding, SIL, SPIonic, Lector, Titus and Ismini. 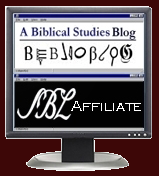 I run BibleSupport.com and create Bible software modules from public domain content. Your list is a HUGE help, because sometimes fonts are rendered with "odd" fonts instead of unicode. Now I have a way of handling them properly! Thank you for making this list! Someone should get Bible Language fonts into the Google Fonts project. 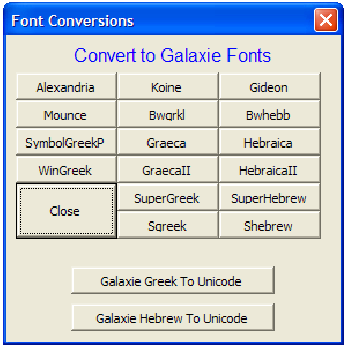 By using their font servers, webpages using biblical greek and hebrew could be standardized and much improved.